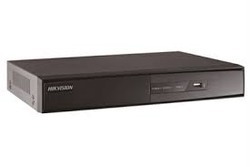 Providing you the best range of 16ch hd dvr supported upto 1080p cameras, bosch-analog-8ch-dvr, 4ch hd dvr supported upto 1080p cameras, 8ch hd dvr supported upto 1080p cameras, hi-focus-ir-4ch-hd-dvr and uniview 8ch network video recorder (nvr201-08lp) with effective & timely delivery. 16 Channel HD Recorder, Support HD-TVI/ HD-AHD/ IP/ CVBS cameras, 1 Audio in, HDMI, VGA CVBS Output, Recording 1080N @ 25fps, Dual Stream Recording, 2 SATA Interface support upto each 6TB, Support Cloud Storage in dropbox or google drive, 12V DC. 4 Channel HD Recorder, Support HD-TVI/ HD-AHD/ IP/ CVBS cameras, 1 Audio in, HDMI, VGA CVBS Output, Recording 1080N @ 25fps, Dual Stream Recording, 1 SATA Interface support upto 6TB, Support Cloud Storage in dropbox or google drive, 12V DC. 8 Channel HD Recorder, Support HD-TVI/ HD-AHD/ IP/ CVBS cameras, 1 Audio in, HDMI, VGA CVBS Output, Recording 1080N @ 25fps, Dual Stream Recording, 1 SATA Interface support upto 6TB, Support Cloud Storage in dropbox or google drive, 12V DC. 8-Channel real-time recording,Flexible viewing with two monitor outputs,Remote viewing, playback, control, and configuration,Easy Pan/Tilt/Zoom camera control,DVR viewer iPhone App. 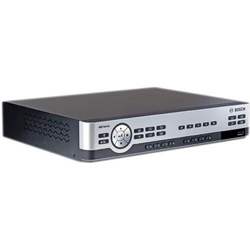 4ch 1080p real time view AHD DVR, Full channel 720p Real time Recording , all channel simultaneous real-time playback, 1 SATA HDD (MAX 4 TB), 2 USB,IRJ45 1 RS485,4 Audio,Support both AHD/Analog cameras with adaptive access,HDMI VGA output @ 1920*1080p resolution, Built-in Web server ,P2P,Mobile View OTI.